Home Miscellaneous Thoughts Follow the Dessert Crazed Road? I am ALL about desserts (one would hope that one who works at a bakery has a sweet tooth) – cookies, brownies, candy, chocolate dipped anything, you name it. I am always on the hunt for the new dessert craze. 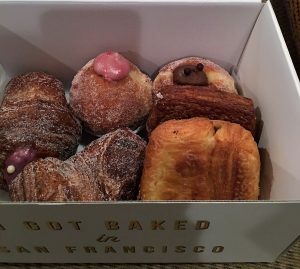 My friends and I ventured to San Francisco to stop by Mr. Holmes Bakehouse. 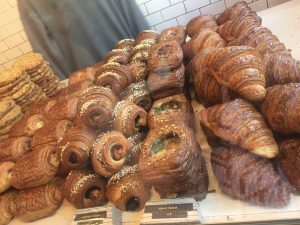 We heard lots of great things about this bakery, and of course looked at all their mouth-watering pictures on Instagram (seriously, check out their Instagram, here). They offer a bunch of sweet treats – cream filled donuts, chocolate croissants, cheese danishes, etc. 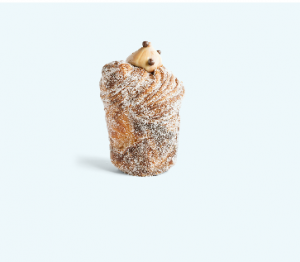 What they are really known for and what causes a line to swing around the building is their “Cruffin” – a cross between a Croissant and a Muffin. Once we saw the photos, we knew we had to try them. We followed the advice of Yelpers and arrived at the bakery at 9 AM. We anticipated the long line, so we patiently waited for our turn to select our treats. We waited about 20 minutes in line before making it to the counter. Alas! A plethora of sweet treats. 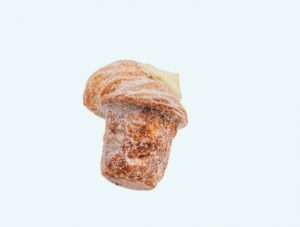 We strictly went for the Cruffins, but there were other treats that certainly caught our attention, like the churro flavored croissants and strawberry cream filled donuts. We made our selections and watched in awe (think heart-eyed emoji) as the employee carefully packaged our treats and handed us our box. Croissants, bear claws, donuts & more! The Cruffins (think muffin shaped croissant with cream filling and sprinkled with sugar) were absolutely delicious! We ate them quickly and tried our other delights as well. My sweet tooth was VERY pleased! Here are a few pictures courtesy of their website (you can visit their website here). Will you follow the road? If you’re into the dessert craze, I suggest stopping by Mr. Holmes Bakehouse! Take a look at their Instagram and definitely do some Yelp research before heading there for tips on parking, best time to go, and fan favorites. I promise you will not be disappointed! Off to research my next dessert adventure!